Premium quality German engineered razor blades delivered to your door at a fraction of the price of local retailers. Delivered to your door every two, three or five months depending on how often you shave. Cancel or change your deliveries at any time. Get your free trial razor now. Only pay for shipping and delivery. 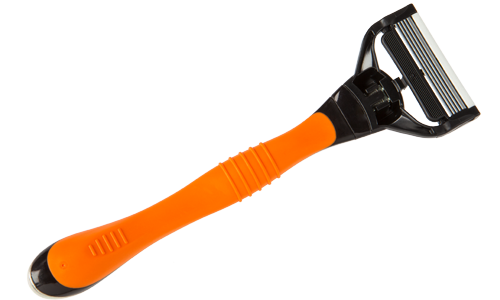 You get one handle with a premium quality 5 blade razor cartridge. 8 premium quality 5-blade razor cartridges delivered to your door. 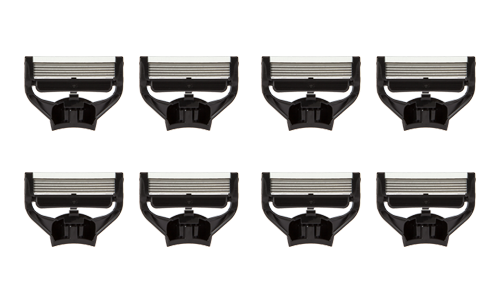 Depending how often you shave, you receive 8 blades every two, three or five months with free delivery . You can cancel, pause or modify your subscription anytime. Order your free premium quality razor handle including blade for free online. Only pay R 99.00 for delivery and shipment . Let us know how often you shave. Receive 8 blade cartridges every two, three or five months. You can change this any time. Cancel, change your frequency or next delivery date at any time. We will send you an e-mail 7 days prior to new shipment so you can make changes if needed. No need to go to shops and buy overpriced razor blades. It does not get more convenient. Have your premium blades delivered for free and never run out.